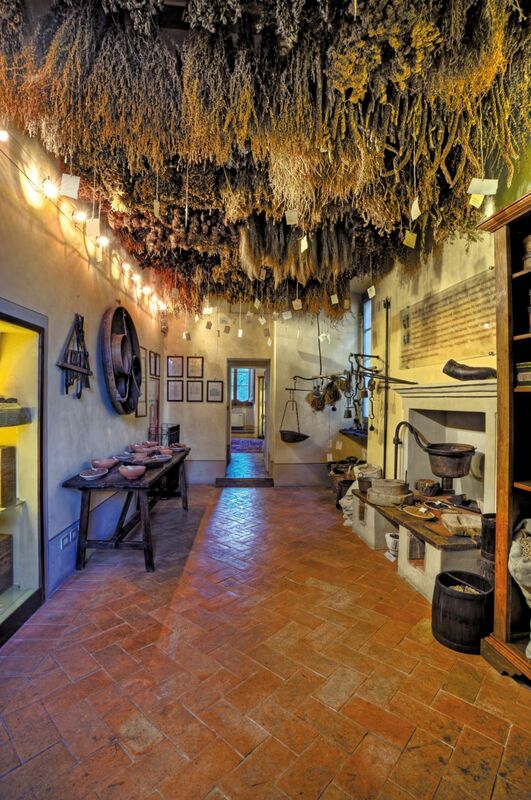 the prestigious Renaissance Palazzo Bourbon del Monte, in the historic center of Sansepolcro, the company Aboca, specializing in the cultivation and processing of medicinal plants, has created a unique museum of herbs. 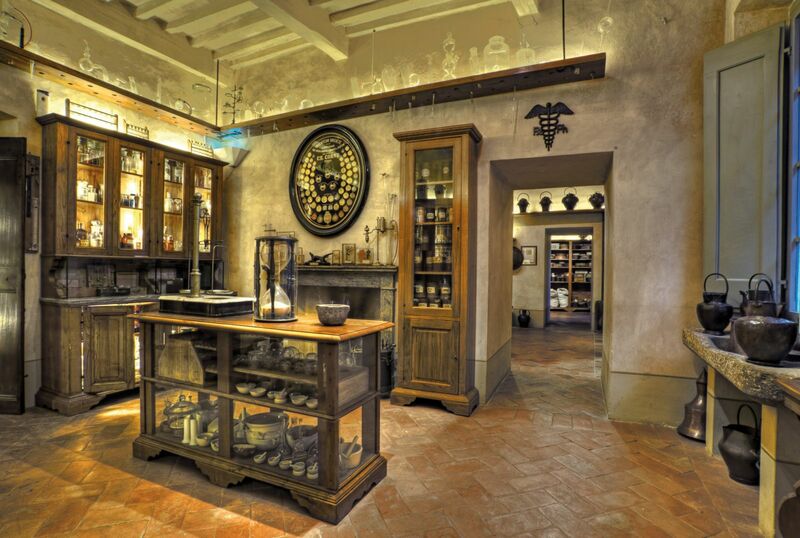 The path Herbs and Health in Centuries aims to spread the ancient tradition of Medicinal Herbs to pass on the history of the millenary relationship that unites man to medicinal plants. 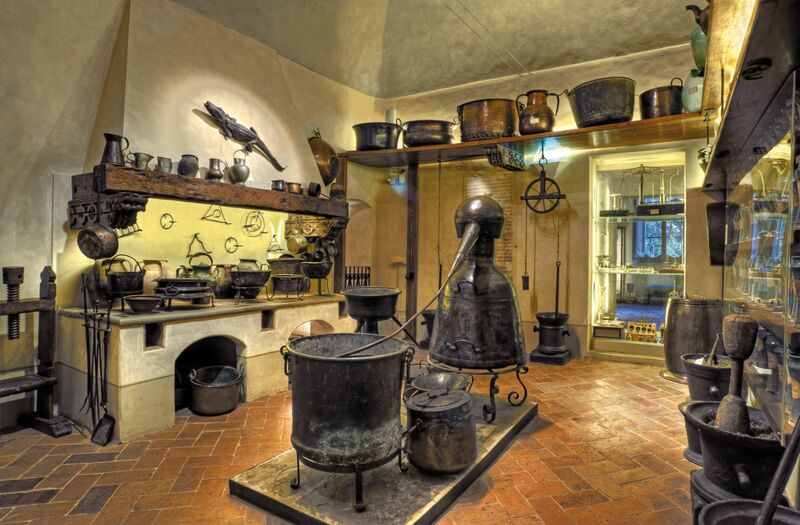 Suggestive and faithful reconstructions of the laboratories of the past, valuable and rare herbals, ancient books of pharmaceutical botany, mortars skilful artisan workmanship, artistic ceramics and glassware, are the setting for a charming and unique museum. Soul of the Aboca Museum is the Studies Centre, which performs tasks of historical research literature using a rich collection of books.